Diploma in Expedition and Wilderness Medicine Course at RCPS Glasgow. He has published numerous articles about this subject in AdventureMedic, and the dental section of the competency guides for remote health care practitioners and expedition medicine. 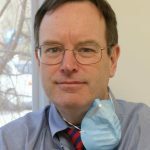 He is also the contributing author and editor for the dental chapter in the new Oxford Handbook of Expedition and Wilderness Medicine. In addition, he has lectured extensively on this subject and supported many expedition medics with phone and email advice. His main passion these days is to train medics in the dark art of Expedition Dentistry through intensive but interesting hands on workshops. 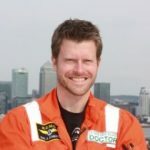 Mat is an Expedition & Wilderness Medic and a past doctor with London’s Air Ambulance. He has also worked in Africa with AMREF Health Africa, where his missions took him to Rwanda, Burundi, Tanzania, Chad, Zanzibar, Madagascar, South Africa all over Kenya. 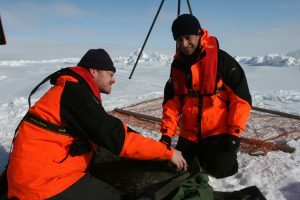 Professional profile:Matt has spent a significant amount of time on the ice, through working as a medical officer for the British Antarctic Survey research facility on the Antarctic Peninsula of Rothera. A keen educator, Matt has been involved in teaching and lecturing on behalf of EWM and London’s Air Ambulance, for whom he recently took up the mantle of Education fellow at the Institute of Pre-Hospital Care. Matt has contributed to numerous wilderness dentistry articles in AdventureMedic. 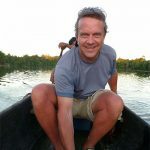 Mark is the founding director of World Extreme Medicine and Across the Divide Expeditions and a Fellow of both the Royal Geographical Society and the Royal Society of Arts, Mark has been involved with expeditions for over 30 years and has led and organised expeditions to all of the world’s continents, both in desert and marine environments but also in both polar regions, at altitude and in the world’s most remote corners. Mark is also an award winning photographer with images published in the Sunday Times, Telegraph, Rough Guides and National Geographic. Mark is the founding director of the World Extreme Medicine Conference a platform for inspiring medical minds to meet, share experiences and promote cross-disciplinary working. The gathering is dedicated to sharing and spreading best practice for the world’s medical professionals, willing to risk themselves to help others. The conference stimulates new thinking, extends professional relationships and shares new and more effective approaches to medical practice in challenging environments. The World Extreme Medicine Conference is organised as ‘Not for Profit’ activity by WEM. He also founded, in a cooperation with University of Exeter Medical School the world’s first MSc programme in Extreme Medicine. The programme’s hallmarks are the practical skills, knowledge and understanding needed to perform at the highest possible level in the field of extreme medicine & wilderness dentistry. Key features are the residential locations of the courses across the UK, and environment specific modules located in mountain, jungle, desert and polar regions. This is medicine at its best, crossing geographical and professional boundaries.